Flapper-era New York is having a moment. The 1920s in Manhattan seems to be the setting of choice for novel after novel right now — not without good reason, of course. What could be more perfect than the glamour, danger, and reckless freedom of the era, with young women living large, gin flowing freely, and a country going a little bit crazy after the trauma of war years? Fitting in nicely with this trend is the new novel Empire Girls, focusing on two sisters, Rose and Ivy, and their adventures in the big city. 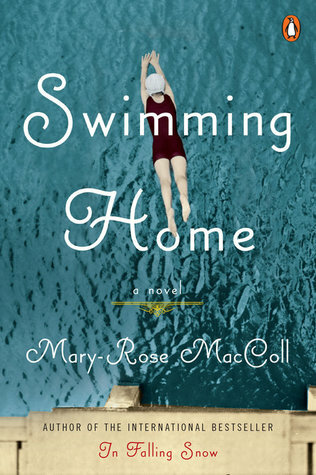 Rose and Ivy have been raised by their widower father in a quiet home in upstate New York. Ivy is the free spirit, going off with her father on explorations and adventures, while Rose is the responsible one, tending the house, making sure dinner is served on time, and trying to keep her family together. But when their father dies suddenly, the girls receive shocking news: They have an older brother, last seen in New York City, who will inherit the house — and unless they can find him and get him to deal with the estate’s debts, they’ll be turned out of their home. With no other options, the girls set out for the city — Ivy excited, Rose in absolute dread — and head for their brother’s last known address, the Empire House, a semi-respectable establishment renting rooms to young ladies under the watchful eye of a not-terribly-friendly landlady. Once there, the girls have to find their way through the temptations and risks of the city. Never close before, the sisters fight and come together, each finding new facets of herself as they navigate gin joints and speakeasies, charming gents and wild girls, while piecing together the clues to track down their elusive brother. 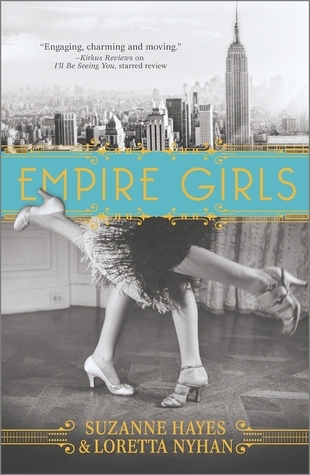 Empire Girls succeeds in painting the New York of the 1920s, capturing the sights, smells, and unbearable heat of summer in the city. The novel vividly describes the allure of freedom for two country girls, and what they must give up in order to thrive. At the same time, it’s not all fun and abandon: In Empire Girls, we also get a taste of the sacrifices made by the men who lived through the Great War, and come face to face with the darker side of the 1920s in the damaged soldiers who are left to rebuild lives for themselves. Empire Girls is written by two authors, each taking on the voice of one of the sisters, so that Rose and Ivy each get to “speak” for themselves. This mostly works, although the narrative occasionally feels choppy, and it was sometimes difficult to sort out whose voice we were hearing without referring back to the chapter headers. Stylistic issues aside, I found the plot to be quite enjoyable, nicely layering the mystery of the missing brother on top of the story of two young women finding themselves and rediscovering each other. Maybe the New York jazz age thing is getting a bit overdone — but here, it really works. As a showcase for Rose and Ivy and their newfound independence, the Manhattan of the 1920s is a great vehicle for illustrating the changing opportunities available to young women, the wild freedom embraced by people who’ve lived through the awful war years, and the prospect of a future without rigid rules and societal expectations. And even more importantly, Empire Girls is just plain fun. I enjoyed the characters, the setting, and the plot. It’s a quick book, light but with real emotion, and a great choice for a summer read. In this fairy tale retelling, author Genevieve Valentine takes the classic story of the Twelve Dancing Princesses and transplants it to Jazz Age Manhattan, with a result that is equal parts captivating and frustrating. The Twelve Dancing Princesses was always one of my favorite fairy tales. 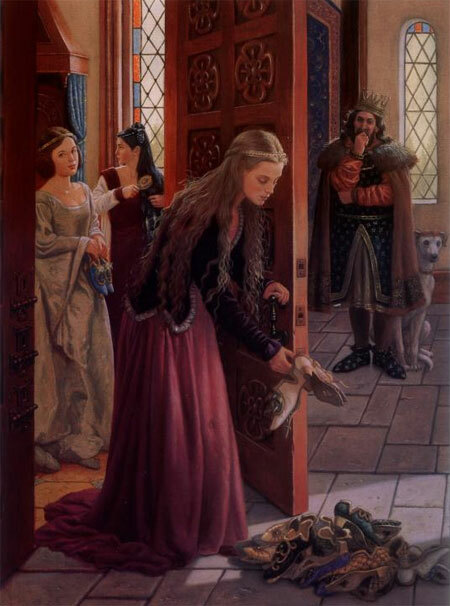 In a nutshell: A king with twelve daughters locks the princesses into their chamber each night, but each morning finds that their shoes are worn completely through. He offers the pick of the princesses to any suitor who can find out for him how the girls wear out their shoes — but anyone who tries and does not succeed must die. Prince after prince fails to figure out the secret, until finally one man comes who manages to outwit the princesses and follows them to a secret castle where they dance all night until their shoes are worn through. Ta da! He wins the hand of a princess and the kingdom besides. The end. In The Girls at the Kingfisher Club, the father is no king, but a wealthy, grasping businessman trying to break into high society. His wife produces daughter after daughter, much to his dissatisfaction, so he keeps her pregnant, time and again, until after twelve failed attempts at a son and heir, his frail wife finally gives up the ghost. And the girls? Each girl is sent upstairs to be raised among her sisters, with a tiny allowance for clothing, a meager library to learn the basics, and strict requirements that they be neither seen nor heard. The girls are hidden away from the world, kept indoors and educated first by tutors, then later by the older sisters, with no hope and no way out. The oldest sister, Josephine (Jo), serves as liaison, summoned a few times a year into her father’s presence to give reports, receive any orders, and then sent back to enforce her father’s rules. But as the girls age, their frustration grows, and Jo knows it’s only a matter of time until her sisters run away or act rashly enough to bring disaster down on all of them — and so she figures out a release for them all. Jo learns to dance by sneaking off to see movies, then teaches her sisters, and eventually starts sneaking the girls out of the house at midnight to dance the night away at Manhattan’s hidden speaky-easys and dance halls. Jo is known amongst her sisters as the General — the one in charge, demanding instant obedience, running their days and nights. Jo determines which nights they go out. Jo gets the cabs, Jo sets the rules: Flirt, but don’t give a man your name. Have fun, but don’t get romantically involved. Above all else, always be ready to run, and know where the exits are. The dance halls are glitzy and glamorous, and the beautiful, exotic girls with no names — affectionately nicknamed “the Princesses” — are the talk of the town, but there’s a constant risk of police raids, or even worse, having their father find out what they’re up to. When their father finally decides to assert his control in new and awful ways once his daughters are of marriageable age, the sisters have to figure out how to survive — and Jo has to both let go and start to live for herself, rather than putting her own needs after those of her sisters. There’s a lot to like about The Girls at the Kingfisher Club. In this mostly successful retelling, the fairy tale works well in its new setting. There’s a terrible logic to the father’s cruelty and tyranny, and the girls’ lives are uniformly dull and drab except for their nightly escapes. The dance halls are described in all their decadent 1920s glory — no wonder the sisters come to life on the dance floor, dancing the Charleston with enchanted admirers, always the belles of the ball, living fully in the moment. The era is a smart choice for this story, a time when women started emerging into something like independence, yet often chained to their fathers or husbands by complete financial dependence and a society that viewed strong women as depraved, or worse, mentally unstable. Where the novel is less successful is in creating twelve distinct characters for the reader to care about. Jo is the point of view for the story, and we come to know her sisters through her eyes, but it’s difficult to differentiate one from another, particularly those we only see in passing. Certain sisters have more distinctive roles to play, but others seem to come and go with only a few lines or scenes, and it’s hard to remember who’s who or what’s special about each one. The narrative style is somewhat choppy, so that while some passages and chapters keep the feeling of a fairy tale in their descriptions — telling the story in broad strokes that seem like an outsider’s perspective on an enchanted world — other chapters bog down and feel sluggish. The book suffers a bit from a lack of intimacy. Perhaps because there are so many girls to keep track of, none seem very knowable, and I didn’t end up feeling connected emotionally to any of the characters, thus making the stakes of the story less compelling than they should have been. Did I enjoy The Girls at the Kingfisher Club? Yes, quite a bit. Still, something was lacking, and the story always felt as thought it was unfolding at a distance. I wanted to know what happened, but I wasn’t invested in any one of the sisters enough — even main character Jo – to make the story feel the urgency it should have by the end. 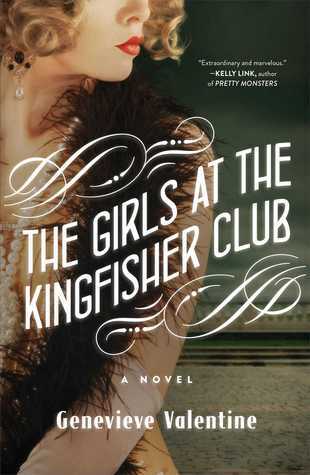 Still, if you enjoy reading about the roaring 20s and relish the thought of a flapper-era fairy tale, check out The Girls at the Kingfisher Club. For those who always wanted to be one of the royal, glamorous sisters who dance the night away, this book offers a fresh spin on an old tale — and if nothing else, will make you want to dust off your copy of the Brothers Grimm. When 11-year-old Elizabeth moves to the island of Guernsey with her mother and stepfather, she has no idea that she’s about to meet a woman who will change her life. Arlette, Elizabeth’s stepfather’s mother, is the grande dame of the crumbling old mansion, always immaculately dressed, with an air of sophistication and glamour that seems out of keeping with a woman who’s spent her entire life isolated on an island. She takes an immediate shine to Elizabeth, renames her Betty (a much snazzier name, to be sure), and takes her into her heart as a full-fledged granddaughter. Years later, Betty is a young woman who takes care of the ailing Arlette in her final days, deferring the possibility of university somewhere more glamorous in order to live with Arlette and be by her side 24/7. And when Arlette passes, she leaves a strange bequest. To be sure, Betty is mentioned favorably in Arlette’s will and receives a nice amount of money and worldly goods — but a mystery woman is also mentioned, someone that no one in the family has ever heard of. The last known address for this person is in London, and Betty sees this as an opportunity to set out on an adventure while also honoring Arlette’s wishes. Finally free and somewhat independent at age 23, Betty heads to London, sets herself up in a cramped Soho studio, and dives into life in the big city. Before I Met You employes the device of a split narrative, so that we follow Betty in 1995 and Arlette in 1920, both young women entering London’s excitement on their own, looking for purpose, for connection, and for fun. In Arlette’s timeline, we see the world of the jazz age, as Arlette is taken up by the fun-loving class of painters and musicians, the “Bright Young People” of the day, and is swept away on a current of passion, excitement, and danger. Betty’s story, by comparison, is somewhat tamer. She’s a fish out of water, trying to play detective to track down Arlette’s mysterious heir, but at the same time trying to support herself and feel a part of life in the big city. In bits and pieces, we see both young women start to establish themselves and find their own way, and their stories are vaguely parallel in some ways. Ultimately, of course, we know to expect a tragedy of some sort in Arlette’s story. Why else would she end up living her life back on Guernsey, with her entire London adventure a complete unknown to those who knew and loved her? Tragic and awful events do occur, and it’s not until the end of the book that we fully understand why Arlette’s life turned out as it did. Meanwhile, Betty works at unpleasant jobs, meets a rock star (for real), parties quite a bit, has a creepy downstairs neighbor, and attracts the attention of a dreamy guy who sells record albums in the market outside her building. As she explores the clues to Arlette’s past, she gains confidence and starts to figure out what she really wants, and who she wants to be with. Given the drama of Arlette’s story, it’s hard to stay interested in the Betty interludes, which take up a greater portion of the narrative. As a main character, she didn’t strike me as particularly deep, and she seems to make a string of not very well thought out decisions. The tonal shifts are a bit jarring: In Arlette’s story, we’re immersed in the glamour of the 1920s, and the narrative takes on a dramatic and somewhat elegant tone. But in the Betty sections, there are moments of absolute crassness that feel like too abrupt a shift from the style in the other timeline, so that it was often hard to make the shift between stories and continue to feel involved in both timelines. Overall, I enjoyed Before I Met You quite a bit. Once the London storylines get underway, it’s easy to get swept up in the swift storytelling, and I often had to force myself to put the book down rather than reading straight through. As I’ve said, I found Arlette’s story much more compelling than Betty’s, which is problematic in a split-narrative story. Ideally, both halves of the story should carry equal weight, so that the reader feels excited to pick up the threads of the plot each time the focus shifts. Instead, I found Betty’s challenges and dilemmas rather trivial when compared to Arlette’s pieces of the story, so that it was always a bit of a let-down to return to the 1990s-era sections. That said, I was very interested in the central mystery of the book, and found a few twists in the resolution that I really hadn’t foreseen or even guessed at. Arlette is wonderful character, both strong and tragic, and I did love seeing the tight bond between Arlette as an old woman and Betty as a displaced young girl. Their relationship and its impact on Betty is moving and lovely, and I think that even when I found myself shaking my head at Betty’s choices in London, I was able to continue feeling warmly toward her in large part due to the respect I had for her because of her dedication to Arlette. 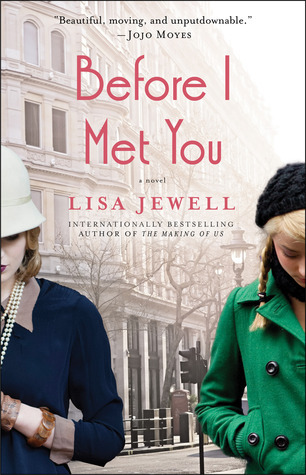 If you enjoy dual timeline stories and reading about young women — in any era — finding their way in the world, then I’d suggest checking out Before I Met You. Is this an awesome cover or what? I know, I know, don’t judge a book by its… but hey, this really is lovely. I love the white flapper dress, the image of a woman outside of her natural element, and the gorgeous African landscape. Aren’t you just dying to know what it’s all about? This is definitely what I would consider a successful cover — it draws you in, piques your interest, and makes you want to know more. A Spear of Summer Grass opens in Paris, 1923, with a young woman in a great deal of trouble. Delilah Drummond thrives on scandal. 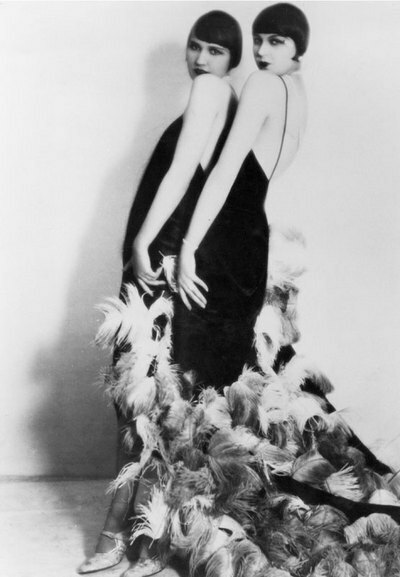 The quintessential flapper, she’s the life of the party, basking in male attention, always the center of the action, never known to turn down a drink, a cigarette, or a lover. But when the latest uproar refuses to die down and Delilah’s escapades threaten to embarrass not just her hard-partying mother but her moneybags grandfather, drastic action is needed, and Delilah is packed off to her stepfather’s Kenyan estate to cool her heels and wait for the media vultures to move on to the new scandal du jour. Delilah is not one to go quietly — anywhere — and as she settles into life in Africa, she makes waves among the colonial government officials as well as among the upper class white settlers in her social mix. Yet at the same time, Delilah is charmed by the wildness and danger of her African surroundings and throws herself into the responsibilities of being mistress of an estate, treating the Kikuyu and Masai tribespeople with friendship and dignity. Not that Delilah has abandoned her wild ways. She attracts the eyes of every adult male in the vicinity, and proceeds to wrap each and every one around her little finger, keeping them as objects of flirtation and sometimes more, but never letting anyone close enough to actually touch her heart. Only one man, enigmatic hunter Ryder White, seems immune to her wiles, and it’s this man who both captivates Delilah and is perhaps an equal for her strong-willed nature. Delilah and Ryder have a bit of a Scarlett and Rhett vibe going for them. She’s used to being the belle of the ball, accustomed to having every man fall all over her to please and pamper her, hoping for just a bit of her attention and favor. Ryder is somewhat of a scoundrel; he’s respectable enough, but he goes his own way, society’s opinion be damned. They attract, repel, and frustrate each other. The physical attraction is certainly strong, and Ryder is perhaps the one man who can hold his own against Delilah. The outcome of the will-they, won’t-they dynamic is never really in question — it’s clear that these two are made for one another — but the getting there is tumultuous, to say the least. There’s a lot to really like about A Spear of Summer Grass. The African landscapes and wildlife are described in lush detail. You can practically hear the wind through the savannah and smell the wildness in the air. It’s easy to see how the various characters, often against their will, get caught up in their lives in Kenya and can’t pull themselves away. I enjoyed Delilah’s transformation from spoiled party princess to something more, a woman of character. Delilah’s past is hinted at from the start, but over the course of the book we come to understand the suffering she endured as a result of world war, the losses that caused her to wall off her heart from any hint of vulnerability, and the slow evolution she undergoes as she starts, finally, to live and feel once again. Ryder is, of course, a typical manly man with a heart of gold, quick to punish wrongdoers but dedicated to protecting the weak, whether people or animals, and righting wrongs wherever he sees them. Of course, he’s incredibly handsome in a rugged, Indiana Jones-ish way, and that doesn’t hurt in the least. The author does a skillful job of portraying the flavor of expatriate life in colonial Kenya, showcasing the decadent lifestyle of the rich, white settlers, their loose morality, and their unwise indifference to the non-white majority of the country. The scandals, gossip, drinking, and sexual looseness all work perfectly to create a sense of a society adrift and out of touch with the world around them. Visually, there are some remarkable small moments, such as Delilah’s fine silks and delicate shoes falling victim to the blood and dust of Africa — details that convey deliciously the feeling of life lived on the edge of the wild. What worked less well for me was the inevitability of the romance between Delilah and Ryder. The battle of wills notwithstanding, it’s obvious from the start that Delilah and Ryder are going to end up together, and there was nothing about their developing relationship that didn’t feel like something I’ve seen before. In fact — although this might be contrary to how these things usually go in popular fiction — I think A Spear of Summer Grass might have been a stronger story without the romantic subplot. In and of herself, Delilah is an interesting, strong-willed, trouble-making heroine, and I would have been perfectly content reading a novel that focused on her personal journey without the complication of her lovers and admirers. 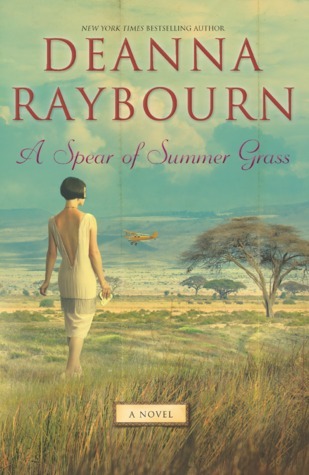 That said, I did absolutely enjoy reading A Spear of Summer Grass, so much so that I stayed up past midnight to finish it and had dreams full of safaris and African skies. After finishing this book, I discovered that the author has also published a prequel, Far in the Wilds, as an ebook, and yes, of course I’m going to read it! Review copy courtesy of Harlequin MIRA via Netgalley. I seem to be drawn to historical fiction lately, and I do love the 1920s/New York setting. 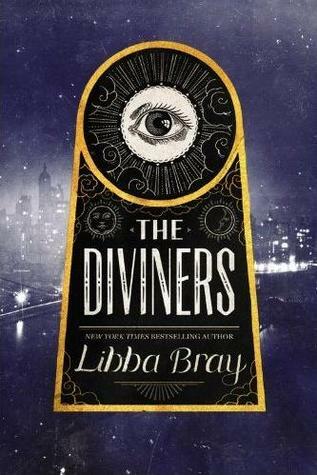 I adored The Diviners by Libba Bray, which was a supernatural-tinged YA novel set in the same era. The Chaperone, with its hint of glamour and promise of empowerment for the lead female characters, sounds like both a great story about personal change and an exciting trip back to the roaring ’20s. Have you read The Chaperone? What did you think? And what are you wishing for this week? This picture instantly brought Evie to mind for me. Yes, I know Evie is a blonde, but let’s get beyond hair color. What I love about this girl is the sparkle in her eyes, the lovely smile, the sense that this is a girl who’s confident, knows how to have fun, and has a killer sense of humor. Could one of these lovelies be Theta? A photo from the Ziegfeld Follies — daring for the time, revealing yet covered up. 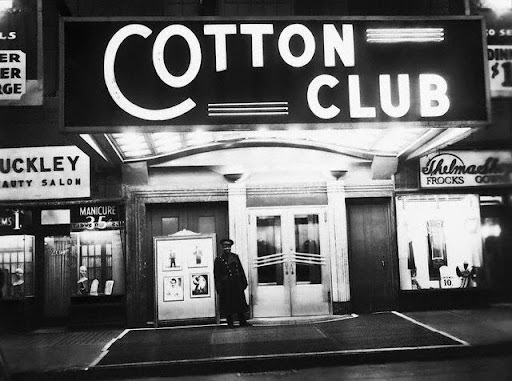 Harlem’s Cotton Club, where Memphis and Gabriel would have spent many an evening. Actress Mary Pickford — maybe more of a look for Mabel? As I find more fabulous flappers, I’ll be sure to add to this collection. And if you come across any terrific photos that remind you of The Diviners, be sure to share your link in the comments. Will I appreciate it? You bet-ski! Roaring 20s. Jazz Age. Prohibition. Flappers. Libba Bray perfectly captures the excitement and glamour of 1920s Manhattan in her newest young adult novel, The Diviners. Set in New York in 1926, The Diviners is a long book (500+ pages) with a sprawling cast of characters whose lives intersect amid the outward glitter of jazz clubs, boisterous parties, and daring girls looking to get noticed. The bright lights and loud music mask a darker underbelly, as a nation recovers from war, teeters on the brink of the coming economic disaster, reacts to political activism and division, and fails to take note of the growing blackness creeping into the world. 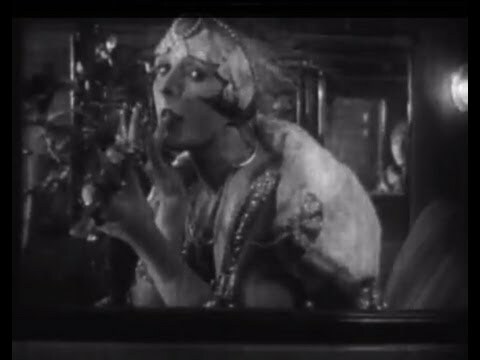 Main character Evie O’Neill is a sparkling, au courant flapper, a 17-year-old shining star stuck in small-town Zenith, Ohio, until her need to show off at a party gets her “exiled” to live with her eccentric uncle in Manhattan. Evie’s uncle, William Fitzgerald, is the director of the Museum of American Folklore, Superstition, and the Occult — or the Museum of the Creepy Crawlies, as it’s known in popular parlance. A confirmed bachelor, Will oversees a dusty collection that no one visits and give lectures on the occult and the supernatural. When Evie arrives, she’s not content to just sit around a fusty old museum and immediately throws herself into the whirlwind of high times in New York. Unfortunately, there’s a killer on the loose, who begins leaving a trail of ritually mutilated bodies. The killer is soon dubbed The Pentacle Killer by the sensation-seeking tabloid press, and Evie and her uncle are thrust into the action as they begin consulting with the police on the occult symbolism surrounding the bodies. Evie crosses paths with an array of memorable characters, including showgirl Theta, who ran away from a troubled past and reinvented herself on the New York stage; Theta’s best friend Henry, a talented piano player with a secret life; Memphis, a good-looking Harlem numbers-runner who longs to be a poet; Memphis’s younger brother Isaiah, prone to odd dreams and prophecies; Jericho, Will’s stoic assistant with his own secrets to keep; and many more. Secrets abound. Each of the main characters has a hidden gift — a secret power — which must remain guarded. But as the killer works toward the climax of a foretold ritual designed to bring about the end of times, Evie and others are called upon to use their talents to unearth the clues that may empower them to save themselves and their world. This group of people, of diverse backgrounds and with differing talents, soon realize that they are part of a prophecied group called the Diviners, who will play a part in defeating a darkness yet to come. Libba Bray succeeds beautifully in The Diviners in conjuring forth a time and place gone by. Her descriptions of Manhattans’s sights, smells, and sounds, the glamor of the flapper girls, the allure of hot jazz clubs — all are rendered so precisely that you can feel them come alive. Evie and friends use the lingo of the times to great effect: Evie asks for “giggle water” when she’s looking for a nip of gin; she frequently pronounces things “the bee’s knees” or “the cat’s pajamas”; her speech is peppered with “posititutely” and “you bet-ski”… and it’s all quite delicious. Evie is witty, charming, and quick on her feet (“A murder! Oh, my. Let me just change my shoes.”); she uses her flapper attitude to cope with the grief of her older brother’s death in the Great War, and never lets on that there is a sorrow underneath her fun-times demeanor. Fabulous too is the looming sense of dread, which grows darker and scarier throughout the book as the killer moves closer and closer to fulfilling the prophecies, and it becomes clear that the threat is beyond human, and may well be unstoppable. The supernatural elements are unveiled bit by bit, and the creepiness amps up as the plot hurtles forward. The Diviners is both an excellent period piece and a creepy occult murder mystery, with heavy doses of prophecies of doom and mystical dreams of strange times to come. If the book had ended with the resolution of the pentacle killings, it would have made a terrific stand-alone novel. However, it doesn’t end there. The Diviners is the first in a series, and I’m a bit uncertain as to where the story may go or how long the series will end up being. The author has established the group of characters who form the Diviners, and it’s clear that they will continue down the path of fighting some mysterious being whose shape has yet to be fully revealed or understood. I look forward to spending more time with the enchanting Evie and her eclectic group of friends and colleagues. I trust that, in Libba Bray’s deliciously talented hands, the story will continue to be engaging, colorful, and creepy. I just hope that the series will have a strong finish, rather than turning into an open-ended story without an end-point. Still, despite my hesitation over getting involved in a new series, it’s clear that The Diviners is something special, and I look forward to seeing what happens next.